The sample below only searches the logs for one particular sender. 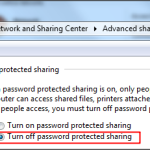 Connect to your Exchange 2010 server via your preferred method. Open the Exchange Powershell Console. Posted from Flint, Michigan, United States. Recently when working with a software package for a track and field reviewing* and scoring we needed to allow sharing between two computers in a Workgroup. We were setting up a new set of laptops and this timing and reviewing hardware for a new track and field season. We didn’t want any usernames and passwords. We just wanted the security opened up completely. No security, sometimes you just don’t need or want it. It’s a network that gets build for a track meet and then taken down when the meet is done. *This software and hardware package is pretty awesome. I had no idea anything like this existed! Posted from Fremont, Michigan, United States.